As an oncologist, my goal is to deliver high-quality, comprehensive and compassionate care that is suited to each patient's unique needs. I have a special interest in the treatment of multiple myeloma and other plasma cell dyscrasias. In addition to my clinical and teaching responsibilities, I am an active participant in several myeloma-related clinical trials. 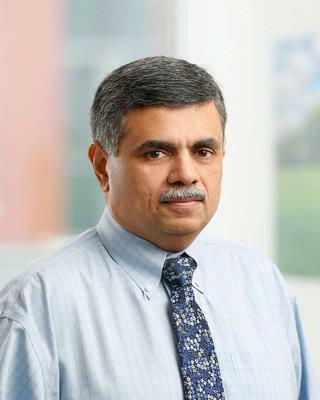 Dr. Ifthikharuddin has a special interest in the treatment of multiple myeloma and other plasma cell dyscrasias. He graduated from the Madras Medical College, India, followed by additional training in the United Kingdom, culminating in diplomas from the Royal College of Physicians (MRCP) and Hematology (MRC Path). He subsequently completed residency training in Internal Medicine and fellowship in Hematology/Oncology at The University of Rochester and joined the faculty in the year 2000. He is board certified in Hematology. In addition to clinical and teaching responsibilities, he is an active participant in several clinical trials.